The odd behaviors of Alzheimer’s and other dementias can be so frustrating and stressful for families. A common approach to difficult behaviors is to go right to medicating them with tranquilizers, sedatives, or antipsychotics. But that’s risky and often not what’s best. In fact, experts recommend trying behavior management first, and for good reasons: It tends to be more effective in the long run than “chemical restraints,” has no dangerous side effects, and leads to a better care relationship. But people often don’t know how to do this. And other relatives, in dozens of similar scenes. In this article, I want to share what I wish someone had explained to me early on: the “Why-This, Try-This” approach to dealing with difficult behaviors. This is a mental framework that can help you get unstuck from unproductive responses that get you nowhere or make things worse. It can bring calm -– to both of you — whether the issue is verbal or physical aggression, agitation, confusion, wandering, disinhibition, delusions, hallucinations, or a restless or repetitive behavior (like pacing, shadowing, rummaging). It also works well with milder irritants like repetitive questions and indecision. You can’t reason with the person to get out of these situations. You need to look for the reason why it’s happening in the first place. WHY This? 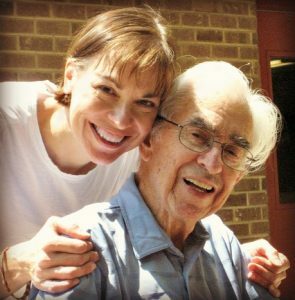 There’s almost always a “WHY” behind a dementia behavior. TRY This! Build off that insight to TRY different ways of shifting the behavior to something less intense, more appropriate, or more positive. Believe it or not, there actually is a “why” behind nearly all dementia behavior. Often there are multiple reasons at once. Fundamentally, a challenging behavior is a reaction to a set of circumstances, expressing something that the person may be otherwise unable to convey. The natural response to all these challenges is frustration, defensiveness, anger, anxiety, or fear. We all act on certain ways when we’re feeling uneasy, mad, insecure, frustrated and so on. These are magnified in someone with dementia, who is even less equipped to deal. Certain types of dementia can bring added stressors. With Lewy body dementia, for example, visual hallucinations are common. With frontotemporal dementia, impulse control erodes, so you’re more likely to encounter problems like uncharacteristic cursing or sexual behaviors. Just reminding yourself that there IS a “why” can help extend your empathy and patience. There’s no single right way to respond to most situations. In many cases, several different things could work, depending on the person and the circumstances. But here’s what pretty much never works: things like sharp words, attempting to reason with the person, or worse yet, using force. Instead you’ll need words and actions that are more gentle, more loving – and yep, sometimes downright creative. Although you can’t always stop an irritating behavior, you often can make it less bothersome, safer, or more acceptable, and even over time lower its frequency. Be ready to do some trial-and-error. If one response isn’t doing the trick, you can almost always try something else that will. Now with this “Why-This, Try-This” framework in mind, let’s go through the seven steps you can use to put this in action. The hard truth: the person with dementia can’t change the way he or she is. You have to change — your reaction and the environment or situation. So putting the person first in your thinking as you react is paramount. Reassuring brings anxiety, upset, or other stress down a notch. It communicates I’m on your side. I take you seriously. Not feeling understood makes anyone more distressed. For someone with dementia, you create a floor to what must feel like bottomless uneasiness. The catch: To reassure someone else, we first have to collect our own feelings. This can be hard because these are almost always emotionally charged situations! It’s easy to feel annoyed when your parent is about to drive off yet another caregiver with false accusations. Or scared when your spouse lashes out or hits. Or embarrassed when Mom’s blouse comes off. Or worried Dad will fall or get lost. We want to REACT! Showing emotional intensity only makes things worse. It puts the other person on the defensive and adds to their instability (more combative, less cooperative). Also, people with dementia tend to be very sensitive to others’ moods, mirroring their demeanor. If you’re upset, they’re apt to continue to be upset or become more upset. If you’re calm and reassuring, you have a much better chance of transmitting that state. And avoid making the mistake of assuming they’ll forget your angry moment. Research suggests that although people with dementia quickly forget what was said, the emotional impact of an encounter (whether it was negative or positive) lingers for much longer. Collect yourself. Do whatever works for you but know that it’s useful to have a “go to” strategy before you dive in. Examples: Take a deep breath. Count silently to three. Have a “silent scream” in the bathroom. I’d consciously remind myself, “It’s not him (or her); it’s the dementia!”— and I needed to enter my relative’s reality. Approach slowly and from the front. You’re less likely to startle, confuse, or provoke. Avoid urging, “Calm down!” Seems like the most natural response in the world, right? But when someone is feeling out of control, it’s like grease on fire. It feels dismissive, rather than reassuring. Also avoid asking, “What’s wrong?” The person with dementia likely can’t articulate it and is left feeling more helpless, rather than helped. Stop yourself from reacting with logic (no matter how tempting). You CANNOT reason with the person, win an argument, or use facts or “proof” to prove your point. It won’t work. So set that impulse aside. Respond to the emotion being expressed, rather than the behavior. Instead of saying things like, “Don’t do that!” or “What are you doing? !” focus on validating the person’s mood as you assess the situation. Use body language that matches your words. More than half of any message we give (to anyone) is conveyed nonverbally. But this is especially true when someone has dementia. Avoid sighing or rolling your eyes. Relax your posture. Make eye contact. Smile. Nod. Use a friendly tone of voice. All make the listener more open to what you have to say. Touch can also reassure and guide, such as lightly placing your fingers on a forearm, outstretching your hand in invitation, or putting an arm around a shoulder. Upsetting behaviors are seldom done “on purpose” or to spite you or annoy you. That requires a sophisticated level of cognition that the person with dementia is struggling to maintain or has more likely lost. Usually, several factors together influence behavior. My widower father-in-law, lonely and probably bored, and prone to delusions, invented several wives; he’d waken from a nap (where maybe he dreamt about them) and expect one to be in the room. If she wasn’t, she must have “stepped out” or “went in the hospital” and he needed get there PRONTO! Eroded thinking skills make it hard to process reality. Another common example: Someone who misplaces her sunglasses can’t mentally retrace her steps to figure out where she left them, so she explains away the gap as theft. Consider the timing. Is this a change that’s come on over recent hours or perhaps the last few days? Suspect delirium due to illness, or something about the immediate situation. A recent change in medications could also be the culprit. Ask yourself if there’s a pattern to when or where the problem seems to happen. Is there something about the light, noise, or activity at that time (or place) that’s different? A common escalation of restless behaviors in late afternoon or early evening is known as sundowning (as in, when the sun goes down). One theory is that there’s a disruption of the body clock in some people with dementia related to light. Vision problems, low lighting, shadows, and fatigue can all increase sundown syndrome. Make a mental sweep of what’s new or different that might have set the person off. Was there a change in routine? A new aide? A changed or new prescription? Houseguests? Are there other symptoms of illness? A basic physical need. Hunger makes anyone hangry—and people with dementia often forget to eat or get distracted easily during meals. Does an incontinence product need to be changed? Is the space particularly hot or cold for how the person is dressed? A poor night’s sleep, or chronic bad sleep, adds confusion and crankiness by day and leads to exaggerated reactions. Pain. People with dementia are notoriously bad at reporting pain. If you ask, you might hear “no.” Watch for body language, like wincing, moaning, or rubbing/favoring a body part (like an arm, forehead, or side). Less obvious sources to consider include ill-fitting dentures, tooth decay, cuts or sores on the feet from poorly fitting shoes or diabetic ulcers, and pressure sores from sitting or lying in one spot. Another physical cause. Constipation or mild dehydration can easily influence dementia behavior. Overstimulation. Are there a lot of people around? Fast-paced activity? A need to rush? Too much going on can fuel anxiety and meltdowns. What’s the sound level? Background noise (even things like a dishwasher running) can make it hard to hear, adding frustration for someone who already has trouble following conversations. Understimulation/boredom. Many repetitive behaviors (pacing, skin picking, rummaging) have roots in not having enough to do. They become default modes that provide both stimulation and comfort, even if they drive others crazy. Wandering is often the expression of an old habit (walking or driving, feeling free and mobile) coupled with a need for stimulation. People who have been busy their whole lives, such as caring for a family or working at a job, have a deep-wired yearning to stay busy. Frustration. Is the activity at hand frustrating because it’s too challenging or the person can’t remember how? Does he feel misunderstood when no one believes a delusion? The struggle to keep up and hold it together all day can take a toll; the person snaps. Feeling unsafe or insecure. A new situation (a different aide, a crowded public place) or a deviation from routine (air travel, a doctor appointment during nap time) can fuel anxiety or fear. Hallucinations or physical issues can create unnerving misperceptions; poor vision can turn shadows ominous, for example. Someone who feels unsure, threatened, or taken by surprise might lash out verbally or physically. Four terrific words to use: “Tell me about it.” It’s a respectful, open-ended way to gather info and insight. By eliminating what sets off a behavior, you might be able to end it. My father kept taking a stopped clock off the wall every time he walked past it. I mean every time! He wanted to repair it but had lost the thinking skills to follow-through. Stupidly, I kept putting it back up—until I realized it was directly in his line of vision on his way to the bathroom, a visual reminder all day long of his need to “fix” it. I moved the clock. Out of sight, out of mind, problem solved. Visual triggers. They’re common and easiest to address (like my dad and the clock). Some wanderers are triggered by the sight of keys or a coat by a door, for example; relocate them to another spot. Repeated comments and questions often have a visual trigger. Activity triggers. At dinnertime, my mother-in-law used to ask over and over, “Should I be doing something?” The sounds of meal prep cued her deeply wired habit to be busy and productive. Told no, everything was fine, she’d say okay…and then ask again a few seconds later. Once we found a way to give her a task—even something as simple as stirring a pot or folding a single napkin repeatedly—her anxious questioning improved. Misperception triggers. A man who’s combative during bathing may misinterpret the help gestures as an invasion of privacy. An aggressive person is often saying, “I’m overwhelmed and out of control.” Withdraw, even if the action seemed (to you) as mild as offering a washcloth. Try again another time. Sensory misperceptions can also occur. If streetlights and tree shadows look like people, close the curtains after dark. If tree branches are striking the house, have them trimmed or play soothing, favored music in the evening. It’s also fair to use “therapeutic lying”—a white lie that enters their reality: “The police are checking to make sure everything is safe.” No longer recognizing one’s own reflection in a mirror is common. Thinking you see a stranger in the bathroom is understandably agitating; it it’s upsetting, remove or cover the mirror. Discomfort triggers. Address the source: food for hunger, a fan if it’s hot. Don’t overlook glare, feeling personally crowded, or pain. Sometimes stripping happens when fabric is itchy or the style uncomfortable. If unbuttoning becomes a nervous tic, switch to pullovers or back buttons that are harder to remove. A “fidget quilt” with buttons and zippers can be an effective substitute for busy hands. To get my father-in-law to stop hauling his worldly goods to the curb via walker, we finally stopped putting them back at night. We told him we’d store them in the garage because it looked like rain. He was satisfied (we’d listened!) and this, with the visual trigger of the goods gone, stopped his back-and-forthing. If an activity is beyond ability, offer support or casually end it. Retreat and rest is key when just trying to keep it together all day overwhelm. You may also need to break the loop of upset by redirecting the person’s behavior or attention. To redirect literally means to change the direction of things. Your goal is to move away from the stressful thing and toward calm. The many different ways to do this are all most effective once you’ve invested a little time reassuring and calmly connecting with the person. Validating my father-in-law’s perceptions always calmed him at least a little bit, putting him in a more receptive frame of mind to then be diverted by some cookies or opera music. Shift to an entirely different kind of activity. Sensory experiences, like playing music, gardening, rocking in a rocking chair, or helping to prepare food, are known to bring positive emotional associations. What I’d really like to know is…. Steer toward a cheerful past. Some people are soothed by comfort objects, like a stuffed animal to pet, a doll to hold, a toolbox to arrange—often things linked with positive memories of their past. You have to use trial and error to see what’s effective but respectful in an individual case. Music, sports games, or talk of weddings (any wedding!) are among popular topics for revisiting. You know the person best. Even when dementia has altered personality, many core preferences, motivations, and traits remain and you can work with these to find a solution. When a rough episode is over, give yourself a moment. Collect yourself. Give yourself some credit. There’s a tendency to focus only on the person with dementia, but it’s really fortifying to pay attention to yourself, too. Take a few deep breaths. Scrawl in a journal. Text a friend. Go back in that bathroom for another silent scream. Anything that lets off some of the stress that even a well-handled incident can create. And one more thing: Go easy on yourself going forward. You’ll say or do things that don’t help. You won’t see a crazy situation coming. You’ll feel blindsided. You’ll lose patience and complain to your friends. You might even yell or lose it. I know because I’ve done all those things. It’s okay. Self-kindness isn’t optional. It gives you the patience and resilience that caregiving requires. MORE hands-on help. 365/24/7 dementia care is impossible to provide solo. Can you have groceries delivered? Find someone to cut hair at home? Have you researched local support programs through your Area Agency on Aging? MORE downtime. Even 15 minutes a day helps, or one long weekly stretch. Look for respite from a hired elder companion, a volunteer, or an adult day program. MORE stress outlets. Among the best: Sleep, exercise, friendships, safe places to vent and share your frustrations. Support groups – whether in virtual communities or a local group – have the added benefit of being places where you can pick up tips as well as let off steam. Remind yourself, “I’m only human.” Celebrate small victories and “good enough” care. You can’t always know what ignited a crazy behavior. But once you’re in the habit of searching for clues, you’ll start to gain insight into the possibilities. And this, in turn, can help you nip future problems more quickly, or prevent them. Try keeping a written log of incidents. Jot down what happened, the time of day, anything unusual you remember about what was going on, and what seemed to help. You think you’ll remember, but in the stress of everyday dementia care, incidents run together. You’ll be better able to track patterns. Having a record of frequency is also helpful if you need to involve medical help. 1.Routine. The more patterned the day, the less off-kilter your loved one. Routines are reassuring and serve as timekeepers for someone whose sense of time is eroding. It’s best to stay close to former routines—morning showers, if that’s been a lifelong habit, for example. Within reason, a little flexibility and spontaneity can be fun, but hew as regularly as you can to meals and bedtime. 2. Activity. Physical and mental stimulation won’t prevent dementia’s progression at this point. But the effects of movement on mood and sleep, especially, are strong. Build some kind of exercise into every day, even if it’s just walking around the house. Exposure to daylight can also help with sleep. Try not to do everything for the person or park them in front of the TV endlessly. You don’t have to play cruise director—few of us have time for that. You may find, though, that weaving stimulating activities into the day takes less effort than dealing with problematic behaviors they can help you avoid. Depending on what you’re dealing with, you may need reinforcements to help you address the behavior. Books about dementia care. In my book Surviving Alzheimer’s, for example, dozens of different behaviors are discussed in depth, with specific tactics to try for each. Finally, talk to the person’s doctor. He or she can evaluate health-related causes and explore other approaches. Medication for dementia behaviors isn’t a first resort and is often risky, but sometimes works. If you feel unsafe (due to aggression, violence, or unpredictable behaviors). When behavior management doesn’t stop hitting, lashing out, throwing things, or other kinds of violence and threats, reporting them to the person’s doctor is the kinder and safer path. Keep yourself safe! Medications may be justified. If the person’s sleep issues are undermining your sleep.If the person with dementia is disrupting sleep for the whole household, tell his or her doctor. There are ways to optimize the sleep of someone with dementia – and solving a sleep problem improves the quality of life for everyone involved. You may also want to get yourself a checkup, to make sure that you’ve been checked for common medical problems that can worsen sleep. Challenging dementia behaviors can be super-stressful. (I’ve called them worse things in my personal experience!) This basic approach can help stretch your patience and move you both toward a more peaceful quality of life. Best of all, you can start using the “Why-This, Try-This” approach right away, even if you’ve been responding differently before. Get Your Free Managing Dementia Behaviors Cheatsheet. 7 steps to help you apply the “Why This – Try This” approach, in a handy PDF checklist that you can print or save. Includes specific suggestions for each step. Click here. Questions, suggestions, or “try” tips that work well for you? Please post them below! Paula Spencer Scott is the author of Surviving Alzheimer’s: Practical Tips and Soul-Saving Wisdom for Caregivers . You can learn more at survivingalz.com. (Safely & Without Medications) appeared first on Better Health While Aging.